Location: Congaree River Blue Trail, River trail from Columbia south and east to State Route 601 landing. 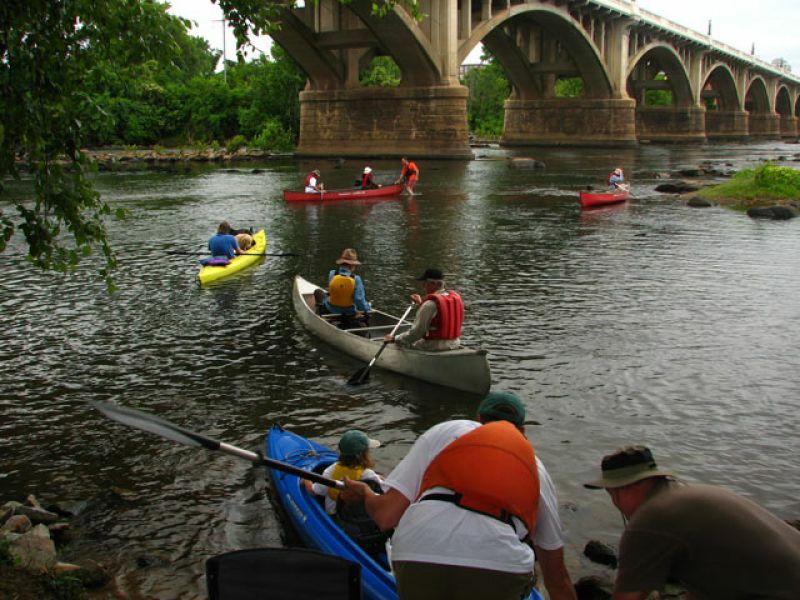 On Saturday, June 2, 2007, National Trails Day, American Rivers and a coalition of diverse local organizations dedicated the Congaree River Blue Trail. The coalition including Congaree National Park, Congaree Land Trust, Friends of the Congaree Swamp, River Alliance, South Carolina Department of Natural Resources, Coastal Conservation League, and others, celebrated the grand opening of the 50-mile water trail. 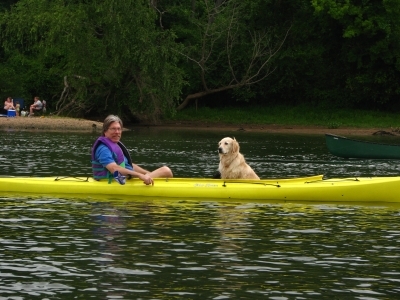 (Read about the dedication and inaugural paddle and see photographs at www.americanrivers.org/congareededication.) Starting near Columbia, the blue trail offers paddlers an urban adventure with opportunities to learn about the historic significance of the area including prehistoric Native American sites along its tributaries. Continuing downstream paddlers cross the fall line and enter the Coastal Plain known for its countless sandbars, high bluffs, and extensive floodplain habitats. The highlight of the trail is the section along the Congaree National Park, a protected wilderness that is home to the largest continuous tract of old growth bottomland hardwood forest in the U.S. Paddlers and hikers alike can enjoy the network of 20-miles of hiking trails within the park and take advantage of opportunities to camp, fish, watch birds, and study nature. A new camping area along the river has been designated by the park. An early version of a map was created for the dedication and inaugural paddle and includes interpretative information and messages about safety and conservation (enclosed). Working with the GIS specialist at the Congaree National Park, we are putting the finishing touches on the more detailed, waterproof map that will be printed by the end of 2007. 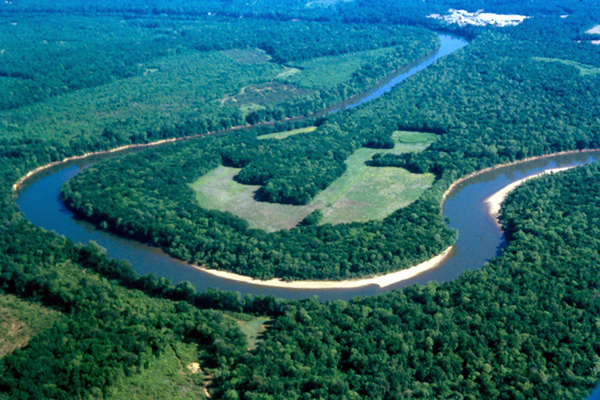 The Congaree River Blue Trail seeks to reconnect the communities of South Carolina to their rivers and help them realize the benefits that healthy rivers provide. By doing so, people will be inspired to protect and conserve lands in the river corridor including wetlands, floodplains, and streamside buffers. 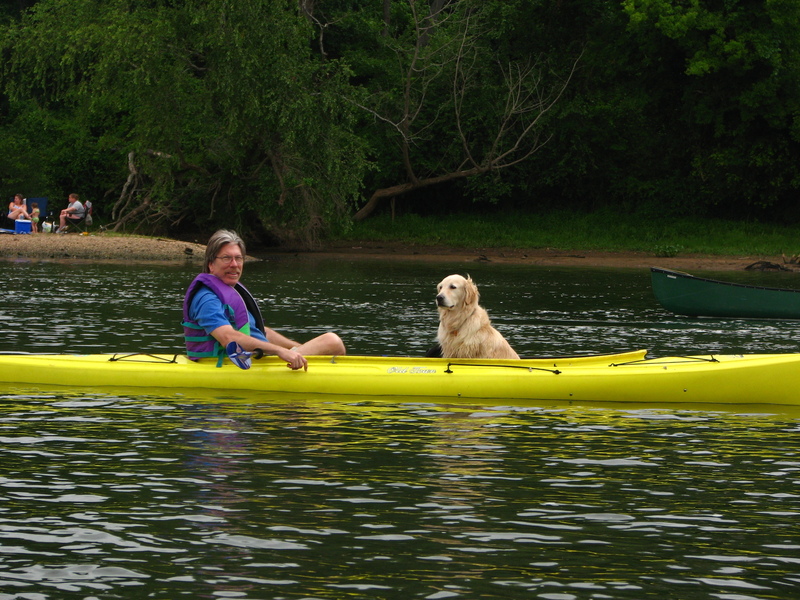 It also will highlight the need for clean water and sufficient flows for boaters, anglers, and fish habitat. Plans to expand this blue trail to include the Wateree River are underway. Newspaper clippings, photos, initial map and interpretative guide are enclosed. 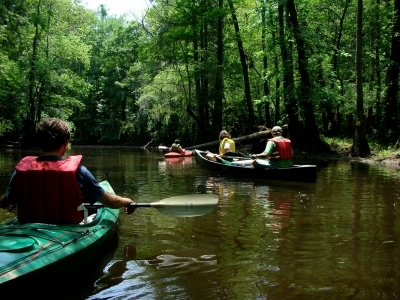 To take a virtual tour of the Congaree River Blue Trail visit http://www.youtube.com/watch?v=LsZ4xYlY1zc. There is much to explore along the Congaree River Blue Trail! Photo by Virginia Winn. The Congaree River Blue Trail is home to wildlife, such as this Great Blue Heron. Photo by Jamie Mierau. 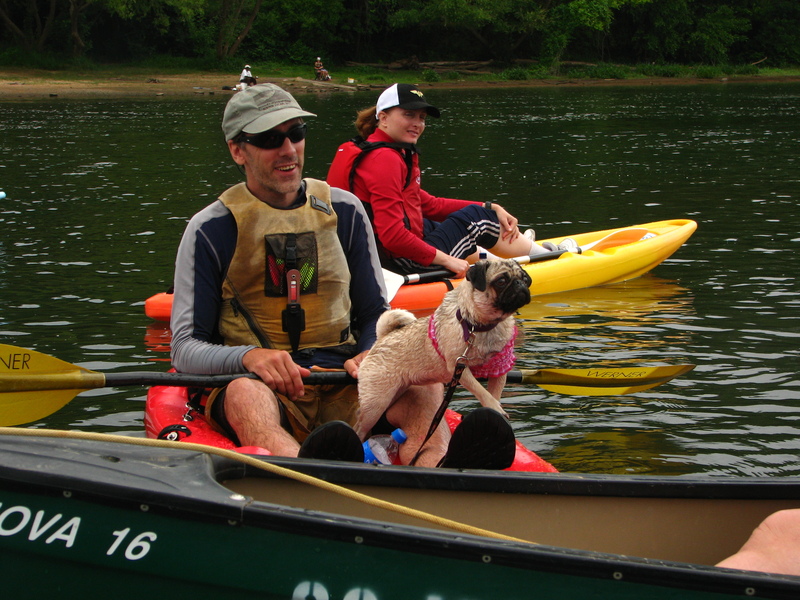 Congaree River Blue Trail dedication and inaugural paddle. Photo by Ron Ahle. Congaree River Blue Trail in Congaree National Park. Photo by Ron Ahle.